I'm so glad the weekend is here! Lately I feel like I've been spinning in circles. My work schedule is busier than ever, my summer is full of children's ministry events, I've got several writing projects going, plus life and family stuff. I have a couple of quick, fun things you might enjoy this weekend. First, my friend and writing partner Voni Harris has done a great series on her blog this month. She challenged four mystery-suspense authors to write a short story based on the same prompt. She's wrapping up the series this weekend with my story, Run. She's also offering a fun giveaway. You can check it out at her blog, Vonilda Writes. Second, I did my first ever Periscope chat on Bible study! It was really fun. If you're wondering what Periscope is, it's a new social media outlet started by Twitter. I describe it as SnapChat meets YouTube. Periscope users broadcast live videos, which are then available for 24 hours. Mine should be available until around 10:00 a.m. Sunday (CST). 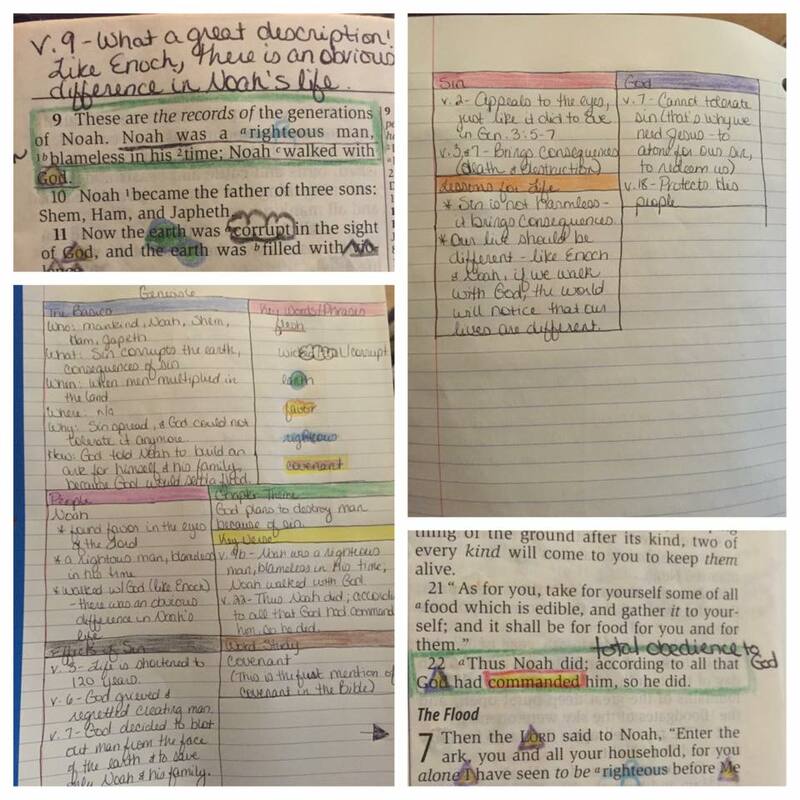 Here's the link if you'd like to check mine out: How I Study My Bible. 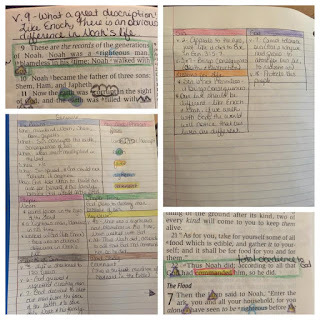 I'm planning a post next week that talks more about my current Bible study method, why I chose it, and how it works. Until then, I hope you have a great weekend! Last month, San Antonio left me unraveled. Not the city itself, not the trip, but a combination of things. I sat in our hotel's library one night, thankful for something familiar, missing my family. The day was full of convention exhibits and continuing education classes required for my dental hygiene license. At night, though, my heart ached because someone I respected fell hard, shattering the image of the person I thought I knew. Just one more rock tossed at my soul in this year of refinement and hard grace. This whole year has left me reeling. The girl who hates change has faced constant shifts: job changes, writing groups dissolving, my youngest struggling with health issues, plans changing. The urge to curl into a fetal position and hide has been strong. Despite our 90 degree Texas summer, I crave leggings and fuzzy socks and my favorite hoodie sweatshirt that's two sizes too big. What I'm really craving is comfort. Safety. Security. An end to the unraveling before everything I know and love changes. But sometimes everything unravels in the best possible way. God has a way of preparing things before us, laying a foundation for what we need long before we even know we'll need it. Looking back, I can see Him working when I read Cold Tangerines by Shauna Niequist as I started the new year. It deals in large part with Shauna's job loss and how she wrestled with it - and I read it days before my boss announced his retirement, which meant my own job loss. God spoke to me on those hard days, telling me exactly how He was going to work things out. I wish I could tell you I boldly trusted Him, but I didn't. I was a weepy, emotional mess. True to God's promises, I found another job that started as soon as my old job ended. But if it was a test of my faith, I failed miserably. The changes didn't stop there. It's been a year of refinement, a year of learning to cling to God. James 1:2-3 have taken on a personal meaning to me: "Consider it all joy, my brethren, when you encounter various trials, knowing that the testing of your faith produces endurance." Testing is hard. Refinement is not a process I get excited about. "Joy" is not the word that comes to mind when I'm going through trials. It's painful. But verse 12 tells us that God makes the pain worthwhile: "Blessed is the man who perseveres under trial; for once he has been approved, he will receive the crown of life which The Lord has promised to those who love Him." That's our true joy in the middle of the pain: knowing that God is in control. We don't have to panic, because it's not our job to work it out. God will take care of it. He has a way of taking our disasters and turning them into fresh starts. When life unravels, He weaves a new, more beautiful pattern. This year has been hard, but it has also defined me. The changes have forced me to focus on what matters most and refined what I believe, what I cling to. My time with God has become slower, forcing me deeper into every word and nuance of His Word. The year has left me on my knees begging for more grace. It's drawing me closer to God. 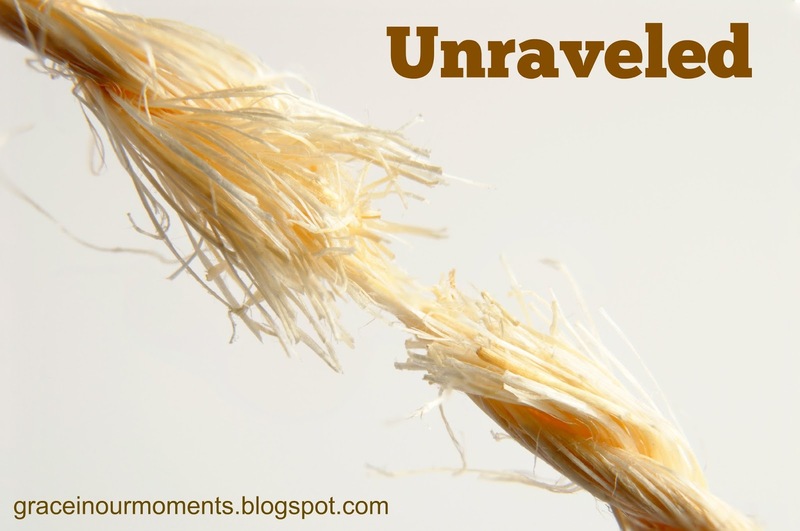 Life has left me unraveled...but God is weaving the pieces into something new.